I’ve been harping on a bit recently about trying to de-clutter and reorganise my life. Instead of shoving everything into boxes or drawers to get it out of sight I am trying to find a home for everything so it lives there permanently rather than having various things in the same category all over the house. Jewellery was spread all over, some in little drawers in my bedroom, my hand bag, the bathroom cabinet and the random box of ‘stuff’ next to the sofa! 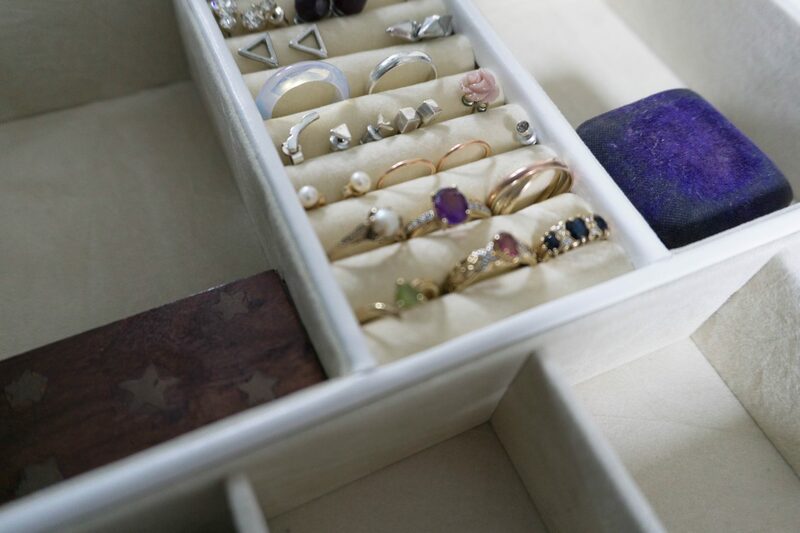 Thankfully I now have a well organised place to store it all in one place in the form of this beautiful Jewellery Case! Made by Songmics it has four drawers, two side sections and a large tray at the top that locks securely closed, and I LOVE it! It is so nice to see everything on display clearly without having to riffle through boxes, and everything is going to be dust-free so will tarnish less too! I spent a lovely hour cleaning all my jewellery with proper jewellery cleaning stuff (you know, that turns your fingers black!) and sorting it into sections. I actually got rid of a lot of costume jewellery that I don’t wear any more too which means I can easily see what I want to wear. I have kept rings and earrings in the padded slots on top, which is a really easy way of keeping tiny stud earrings together. The fold out ‘wings’ at the side each have four necklace hooks on so they can be kept neatly without getting tangled with each other, and the pendants tuck into the elasticated pocket at the base to keep them safe. 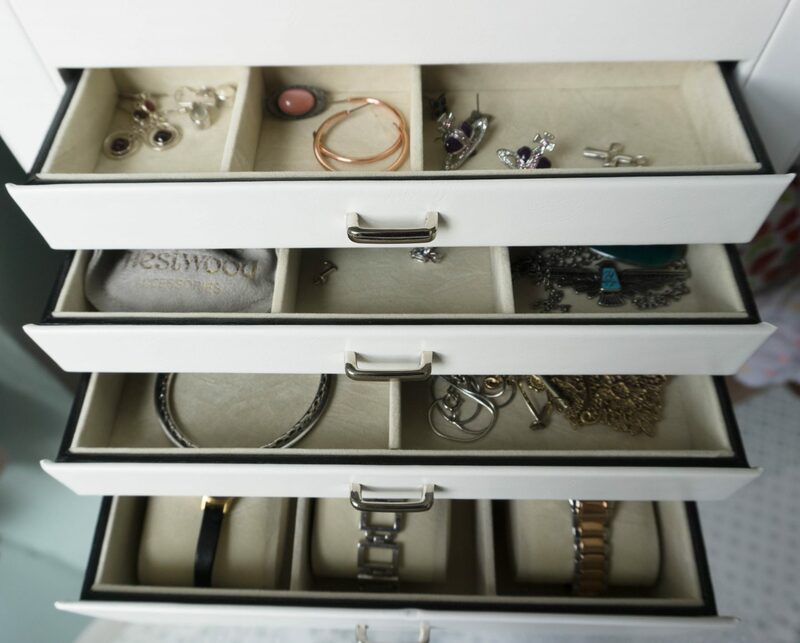 In the bottom drawer (which is deeper) there are three watch sections with a pillow to secure your watches round, and an area for boxes or larger jewellery behind that. 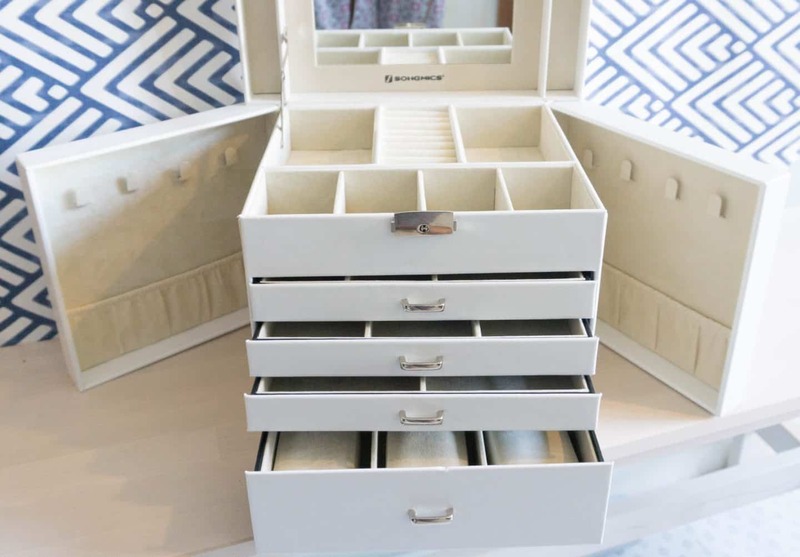 The next three drawers up all have various sized sections so you should have enough areas to store things as you need to without getting them all mixed up, it’s made life so much easier. A carry handle means that I can transport it easily when I need to, and the top section locks shut with a little key for added peace of mind for anything extra valuable. Songmics have an Amazon store stocking so many useful items for organising your home, from clothes & cosmetics storage to picnic blankets and cat beds! 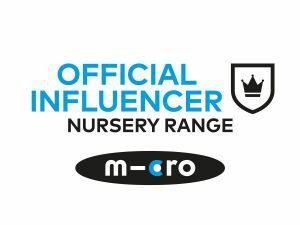 You can view the full range here. 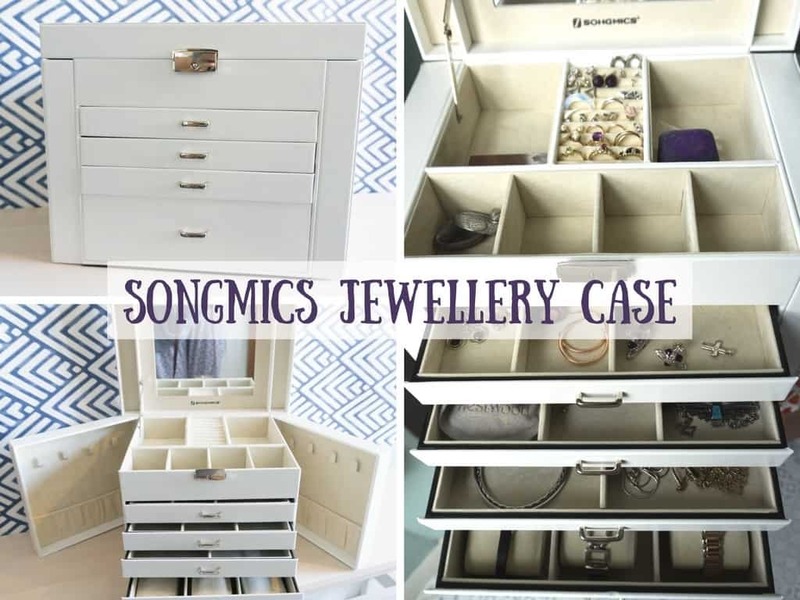 I am also over the moon to be able to offer one lucky person their very own Jewellery Case from Songmics! 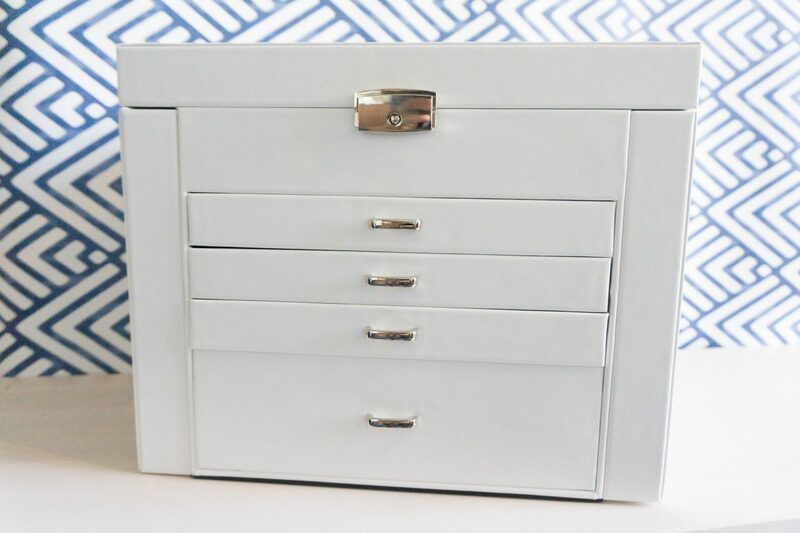 The winner will get the same style as mine, which has plenty of storage space for all your precious jewellery! 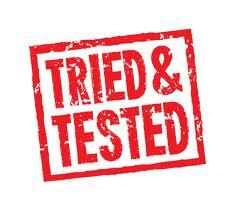 I was sent this jewellery box for the purpose of this review. All words and opinions are my own. If I don’t find a box to keep my jewellery in my husband is leaving home. This would make such a lovely gift for my niece, she has just turned 18 so this would start her off.